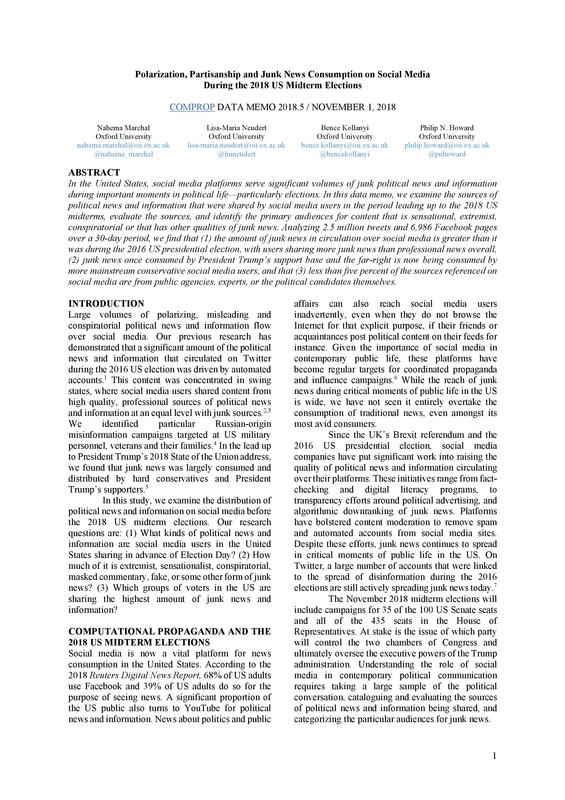 Researchers in Oxford have worked on the dilemma of the internet playing a role in ‘junk news.’ Their research focuses its hypotheses, statistical analyses, and conclusions on the 2018 midterm elections in the US. Since the US Presidential elections of 2016, the world has looked on to see how the 2018 elections unfold. The credibility of the 2016 elections has been under fire for years over claims of meddling by social media hackers. Rumors, fake news, and misinformation spread on social media websites have played a vital role in shaping politics. The relative ease with which social media outlets can make users believe in alternative reality is alarming. Therefore, people with ulterior motives have easy access to harnessing the power of social media over the public mindset. Organized groups can use bots to increase the count of posts and tweets under specific hashtags. A tirade of fake accounts and bots are hence creating an entire imaginary fan base for their theory. This convinces onlookers about reliability. Misinformation on social media has turned itself into something dangerous enough to demand immediate action. A shooting in a Pennsylvania synagogue happened because social media convinced the shooter that Jews were harming America. Social media brainwashing killed eleven people by inciting religious hate in one lone incident. Incidents, where we lose human lives to junk news, have been on the rise. 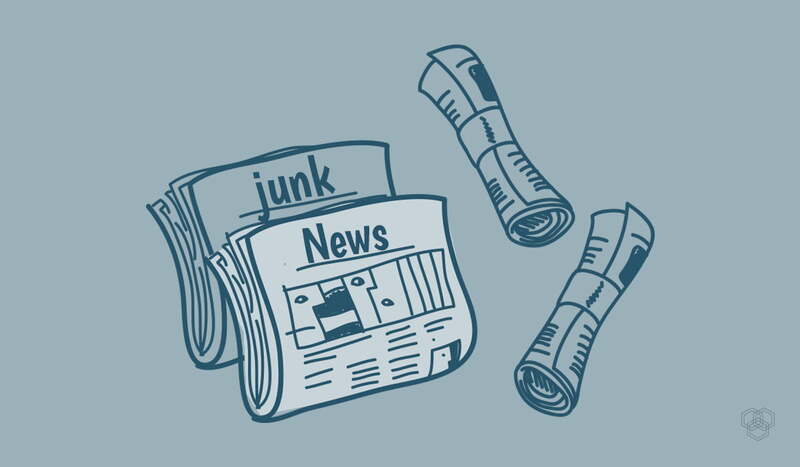 According to official definitions the term “junk news” refers to various forms of propaganda. Also, ideologically extreme, hyper-partisan, or conspiratorial political news and information are a part of junk news. The term includes news publications that present false content as factual news. Moreover, this content can be easily verified. Perpetrators frequently use attention-grabbing techniques. These include lots of pictures, moving images, excessive capitalization, personal attacks, emotionally charged words and pictures, populist generalizations, and logical fallacies. It presents commentary as news. The term refers to a publisher overall rather than referring to an individual article. For example, naming Facebook for the junk news it allows its users to see. Social media is now a vital platform for news consumption in the United States. This happens particularly during important moments in political life such as elections. A significant portion of US adults turns to social media platforms for news content. Given the importance of social media as a news channel, these platforms have become regular targets for coordinated efforts to spread misinformation and junk news with the aim of influencing voters. A few days before the midterms on November 6, researchers at the Oxford Internet Institute publicly released their findings. Their report consisted of statistics of junk news presence and consumption in the United States. According to the report, the proportion of junk news circulation on the internet grew by five percent since the 2016 election. Moreover, around 25 percent of what social media platforms were publishing under the topic of midterm elections was junk. Out of the social media content on midterms, reliable news outlets and professionals were only 19 percent of the total. Moreover, out of it all, the government agencies, experts and candidates were responsible for a meager 5 percent. The institute claimed that for the first time, ‘junk’ content was more than that released by reliable news outlets. According to the abstract of their data memo, Oxford researchers analyzed 2.5 million tweets and 6,986 Facebook pages. They did so over 30 days ending on October 31. The report garnered a response from the two social media giants in the limelight because of its accusations. Both Facebook and Twitter have claimed to drastically increase their efforts to stop the use of their platform as hubs for junk news. According to a report in USA Today, Facebook allegedly took down around 1.5 billion fake accounts. Facebook CEO Zuckerberg has claimed that he has set up a ‘war room’ inside the headquarters. No one is certain what exactly goes on inside this room in Menlo Park offices. However, a Facebook spokesperson has insisted that several teams in one room tackle several tactics of spreading junk news. Twitter also joined Facebook in defense of its policies. Twitter argued that it took down 770 accounts in August alone. They also claimed that in May, the social media site received around 17000 reports per day. Twitter boasts that its efforts brought the number down to 16000 by September. Twitter has insisted that it created election labels for users to easily follow candidates running for office. Neither company has, however, openly talked about any sustainable business model about it. A permanent solution to cater to junk news is, therefore, nowhere at the moment. The social media platforms sell better in the era of highly polarized and partisan content. They hence prefer it over more measured stories on their platforms. The Junk News Aggregator is a genius part of the Computational Propaganda Project (COMPROP) of the Oxford Internet Institute at the University of Oxford. This keeps a check on the incidence and frequency of junk news circulating on the internet. The aggregators by the OII are tools to help researchers, journalists, and the public. They track junk stories in English that are being shared and engaged with on Facebook. The aggregator monitored this activity ahead of the US midterm elections. The aggregators collect all post reactions available on Facebook. These include Likes, Comments, Shares and five emoji reactions including Love, Haha, Wow, Angry and Sad. The Junk News Aggregator shows Facebook posts posted by junk news outlets on their public Facebook page. It shows posts uploaded to Facebook up to a month ago. You can filter posts based on how long ago they were posted (e.g., 1 hour ago, 2 hours ago, etc.). And also based on keywords and the publisher name. You can also sort posts, not only by when they were posted (newest/ oldest), but also by how many engagements (or reactions) they received.